Gorgeous autumn light = even more gorgeous documentation! Katie Huisman, photographer and co-curator of An Evolutionary Look into Vancouver Street Photography, took some atmospheric documentation photos of Capture’s public installations. 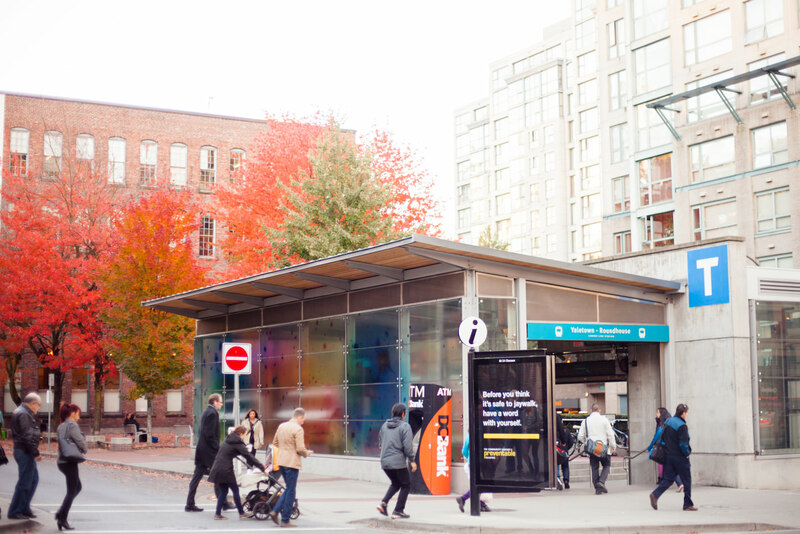 We’ve already added them to our site, but they were too stunning not to share – those fall colours next to Mungo Thomson’s installation at the Yaletown Canada Line Station really make our hearts sing! Click here to check out more Capture public installation documentation!